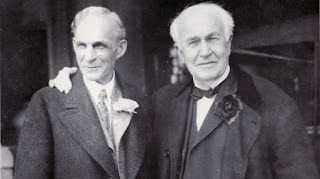 Musings 'n scribblings of a philanthrope .. : A memorable industry visit to General Electric Healthcare ..
A memorable industry visit to General Electric Healthcare ..
Henry Ford and Edison (L-R), Two of the greatest technology leaders of all time..
Friday 6 April was a very active day for students of semester 2, MBA Alliance School of Business, Bangalore. They were in for a major surprise and great learning at one of the best manufacturing and hi-tech places on planet Earth they could ever get to .. They were visiting the healthcare facility of the world's #1 technology company found in 1890 by none other than one of humanity's greatest inventors of all time, Thomas Alva Edison. GE-BEL is a technology venture situated in Whitefield Bangalore with an investment of $100 million in late 90s with GE and BEL holding 74% and 26% equity. It is a 100% export oriented unit. This is GE's third X-Ray tube manufacturing unit in the world besides US and France (Paris). GE's present global turnover is app $122 billion (2017). Compare this with Toyota global turnover of $249 billion. 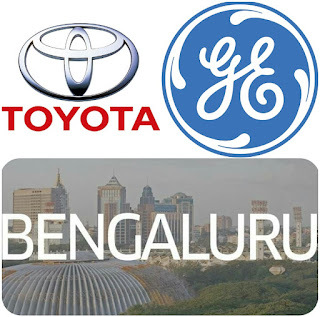 The good thing is Bangalore can take pride to be the place which has both the world's largest, profitable and high quality automobile manufacturer Toyota and the world's #1 technology company General Electric. Toyota and GE .. need more collaboration !! The reason for mentioning GE with Toyota is because today I was totally taken aback at the lean initiatives at GE Healthcare in Bengaluru. As a management and engineering professional with long teaching, logistics and shopfloor experience, I found great similarity the way GE and Toyota were marching ahead. Toyota is 2x GE's global turnover. Toyota shop floor is the birthplace of Toyota Production System (TPS), which later morphed to Lean Manufacturing. I was very much surprised to find the level of commitment of GE to implement lean manufacturing in its production plants unquestionable and at a very high level. It had the same level of commitment as Toyota has to TPS in its plants across the world. In fact, seven of the eight production lines of GE Healthcare in Bengaluru are already Lean Six Sigma certified. Jidoka, Poka yoke and the six sigma tools were not discussed. It was quite strange to find that the two great companies working out of Bengaluru did not have much interactions and sharing of learning, successes, failures and challenges from implementing lean philosophy between them. When a student asked the GE representative, on whom they benchmark their products and processes, the GE representative was quick to respond, and said, "We don't benchmark our operations, we set the standards". Indeed, a very positive and encouraging reply, after 128 years of failure, learning and development. It no doubt, reflected the maturity of the processes and confidence the company and its employees had on their world-class products and processes. 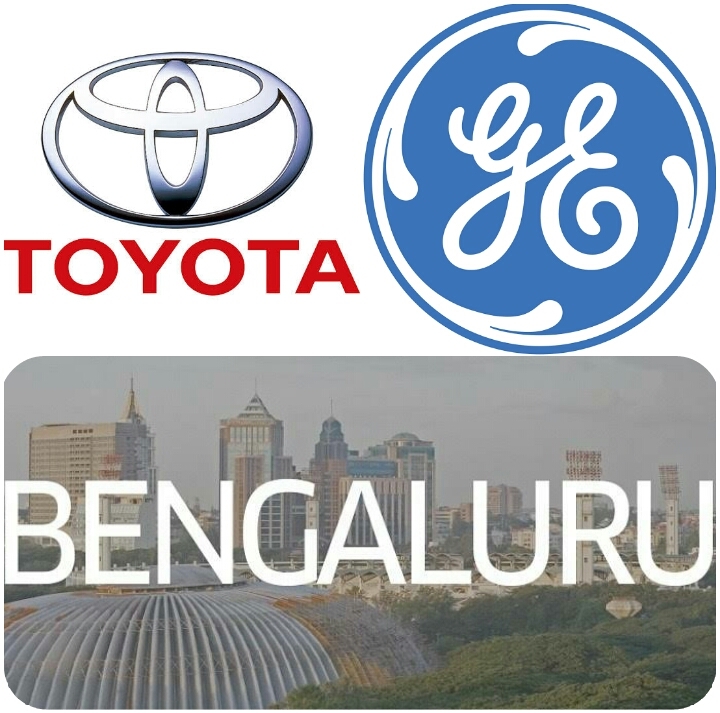 Having already visited Toyota many a time, we could explore ways in which our University could be a catalyst to enable more collaboration and co-operation between two of the greatest companies of the post-Industrial revolution era working out of Bangalore. We could also explore possible areas of collaboration between these great companies to help bring a perceptible change to the world.. While only two great lean six sigma installations from India like Aravind Eye care, Madurai and Narayana Hrudayalaya in Bengaluru are discussed in literature, it is high time the GE-BEL Healthcare plant gets noticed and prominently displayed as yet another example of superior Lean Six sigma implementation from India. We wish to profusely thank the guides nominated by GE who were with us throughout the visit, helped clear each and every technical and managerial doubts from the students and helped us make the best use of the visit.